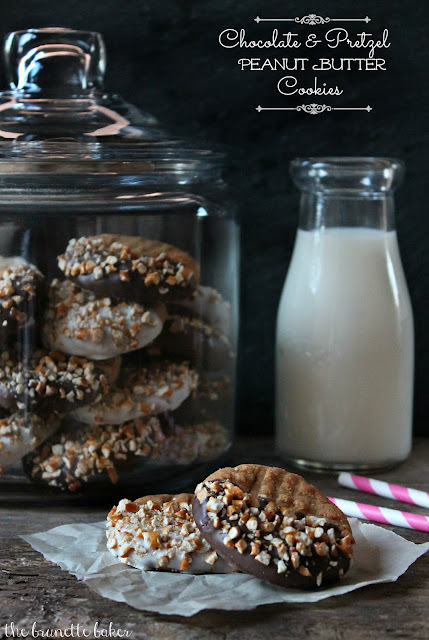 You need these cookies in your life. 1 package of coating chocolate - I used both white and dark. *To make these completely gluten-free cookies, be sure to use gluten-free pretzels, like Glutino. Preheat oven to 325ºF. 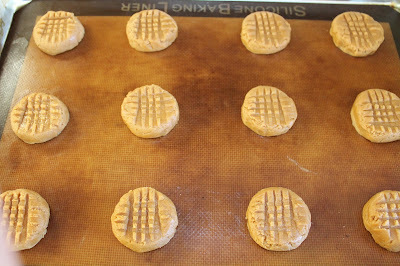 Line cookie sheets with parchment paper or silicone mats; set aside. 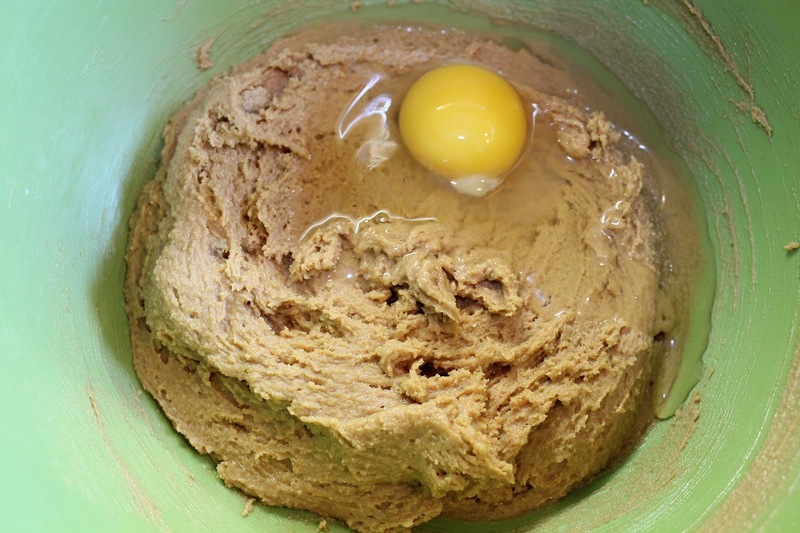 In a mixing bowl using an electric mixer, beat together peanut butter and brown sugar until creamy. Add in egg and mix until incorporated. 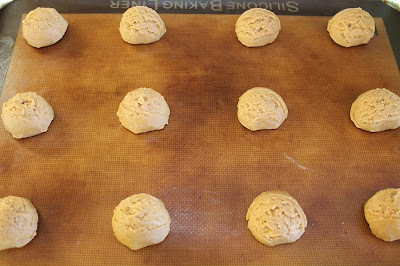 Using a scoop with a retractable mechanism, scoop dough onto cookie sheet. Add criss-cross designs to pretty them up. 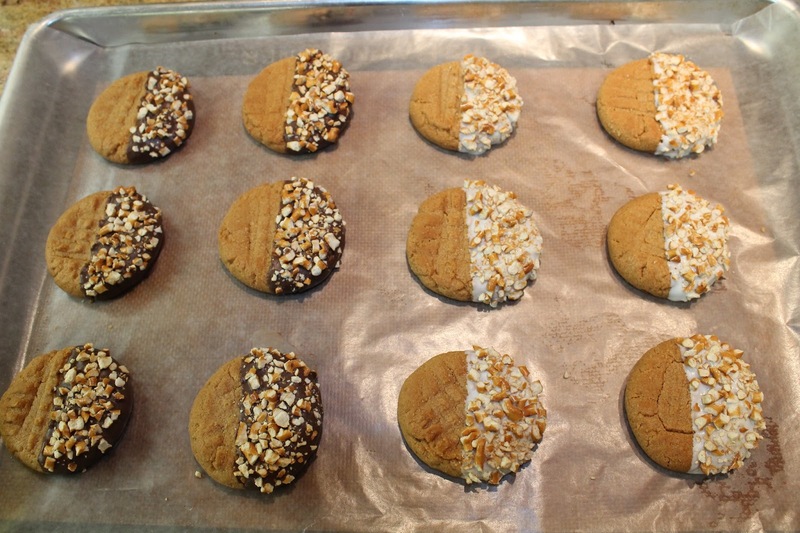 Bake cookies for 18-20 minutes. 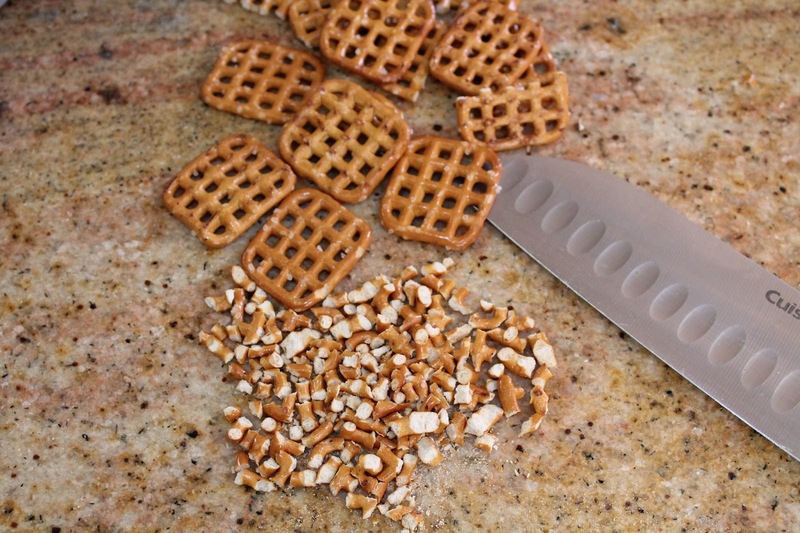 In the meantime, using a hand chopper or knife, cut pretzels into small pieces; set aside. Prepare a cookie sheet with parchment or wax paper or a silicone mat. Place chocolate in a heatproof glass bowl and microwave in 30 second intervals, stirring well in between until chocolate is smooth. Take cookie and dip halfway into chocolate. 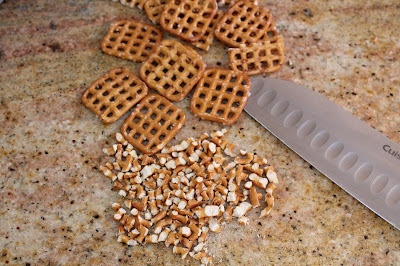 Immediately sprinkle pretzel bits over top. Place on prepared cookie sheet. Put tray in refrigerator to set. Yes please! I'll take twenty. Definitely going to have to try these, I looove peanut butter! These sound AMAZING! Got any leftover that you care to share? Thanks for sharing at Two Cup Tuesday on Pint Sized Baker. The party will open again on Monday evening! I love it when I get advice I agree with! Pinning this right now. I just pinned this too. Definitely a must try! My grandmother stumbled across this peanut butter cookie recipe for peanut butter blossoms and I've been using it for years. I never thought to dip them in chocolate and pretzels before. Thanks for the wonderful idea.